Wishing you all a very happy new financial year. 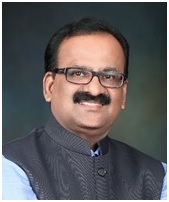 Before I dive into the new training program we have put together, which we believe is the most relevant one for IFAs in today’s business context, allow me a few moments to share with you a quick recap of the journey in FY18-19 of our IE&DD Express (Investor Education & Distributor Development) of ABSL AMC. One milestone that we really cherish is the fact that in FY19, our IE&DD Express provided training intervention to over 25,000 IFAs – taking our cumulative total past the 100,000 IFAs mark. The other is that we have over 11,000 IFAs who are empowered goal planners – who are making a meaningful difference in their clients’ lives through high quality goal-based engagement. There are many plans on the anvil for us on taking our goal planning programs to the next level – I hope to share some meaningful updates the next time I connect with you on Wealth Forum. With all your good wishes and support, ABSL’s IE&DD Express is seen as the best TRAINing platform available to help you to reach your knowledge destinations. It is also the fastest train in the country, in terms of the footprint covered in investor education and distributor development. Even as the country smiles with satisfaction at the launch of Train 18 – our fastest train so far, the nation is already preparing to welcome the Bullet Train. 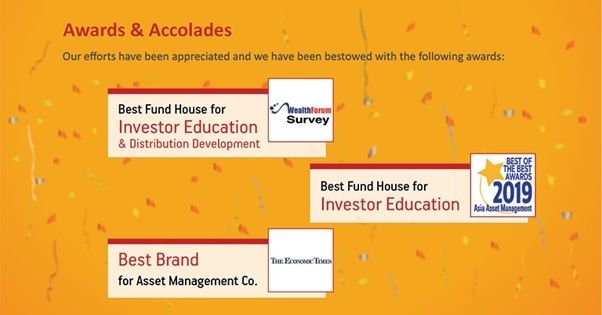 So is the story of your favourite IE&DD Express – we are very grateful for all the recognition of our efforts, but remain cognizant that this express has to pick up even more speed if it has to traverse the length and breadth of this vast country, touching the lives of every IFA and every investor. And that is a mission that we at ABSLAMC remain committed to. Our minds have got consumed by “TER”. Most of the news/views/opinions around TER cuts seem somewhat pessimistic / disempowering - the TERrain may be looking tough to handle. It is in this context that we thought it is appropriate to create a module which can provide an opportunity to all the partners to have clarity on the same and provide direction to the new TERrain and enable navigate better to create equally better LIFE afTER. Those of my IFA friends who believe life after TER cut is tough may please come to these Life afTER sessions. Those who are wondering how to navigate the world of lower TER: please join these sessions. And those of my IFA friends who have not allowed your optimism and enthusiasm to be dented by regulatory changes: please do come to these sessions and join us in helping our IFA friends create their own road maps that will help them navigate any terrain – however rough, however tough. This module makes an attempt to provide clarity, guidance and direction to GROW your business. In the April-June 2019 quarter, we have organized Life afTER programs in 60 locations. 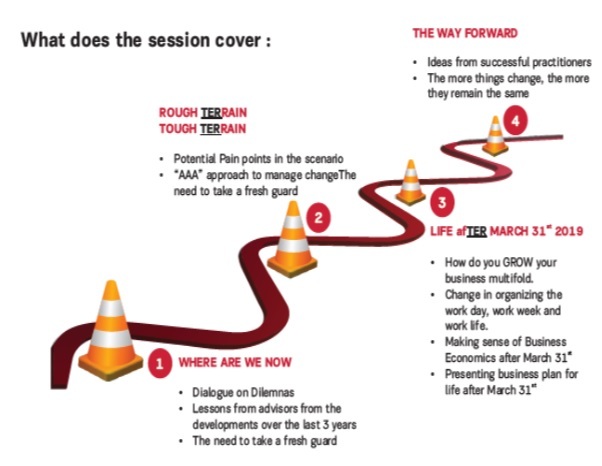 Do participate – come with an open mind and go back with a clear road map for your business. This industry has seen many regulatory changes that have posed challenges to established business models – and there will be many more. Successful entrepreneurs deal with such situations the way champion batsmen do: they take fresh guard, inspect the pitch, study the playing conditions, make mental adjustments to their playbook and get ready to continue accumulating runs – or in our business terms, accumulating AuM. We collectively offer a product to savers that can help them build long term wealth and materially enhance the quality of their lives. And this product has as yet only reached a fraction of those who need it. All of us have only one thing to focus on: how to reach every saver in India and get him/her to climb on board this wealth creation express. Regulatory changes may create some hurdles, may create few challenges – and it is our responsibility to take time out to understand and digest them and make adjustments to our road map so that we know how we are going to navigate a terrain that has got rougher and tougher. Our program Life afTER is just that strategic time out – a chance for you to regroup, rethink your game plan, make adjustments and then go back with renewed vigour onto the playing field. Do contact your ABSL AMC RM and ensure that you enrol for Life afTER as it rolls into your city.